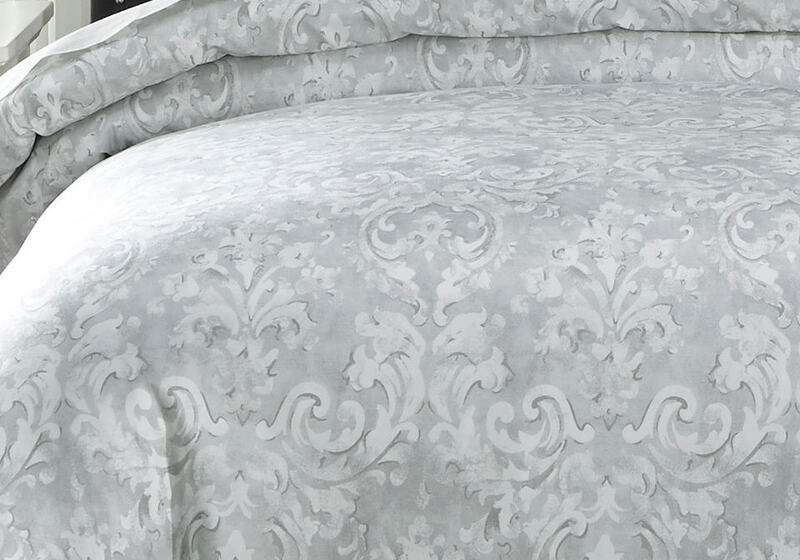 This duvet set comes with a unique damask watercolor design in shades of gray and white. 3-Piece Duvet Cover Set – Includes Duvet Cover (Insert not Included) and 2 Shams. Watercolor Damask Design in Shades of Gray and White. 400 TC. Cotton Sateen. Machine Washable.